Helen Parr (to Bob): You know it’s crazy, right? To help my family, I gotta leave it. 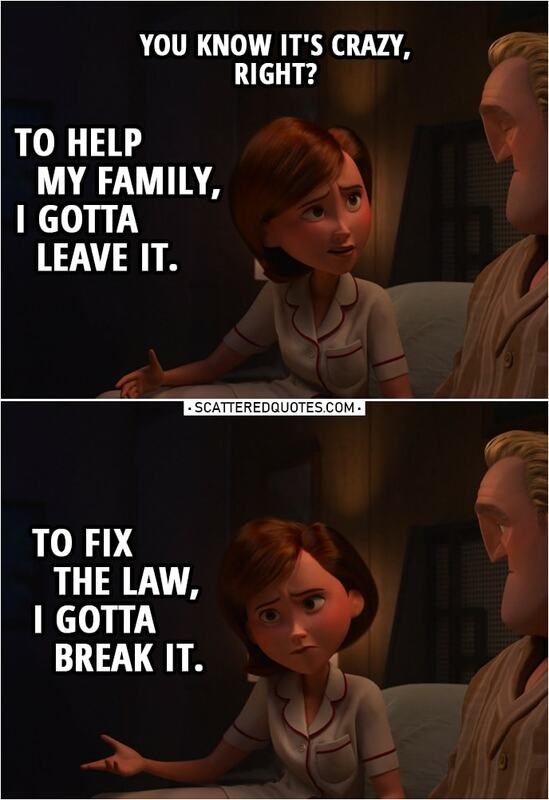 To fix the law, I gotta break it. 13.4.2019 To fix the law, I gotta break it.